Hundreds of HISD seniors will walk across the stage this spring during graduation ceremonies planned for May 29 through June 9. Most ceremonies will take place at various locations around the city (primarily the Barnett Fieldhouse, Butler Fieldhouse, Delmar Fieldhouse, NRG Arena, NRG Stadium, Texas Southern University campus). 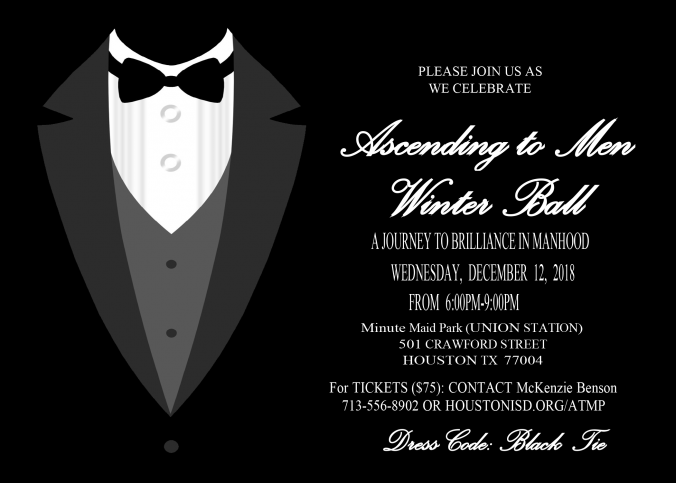 This entry was posted in News, Special events on January 23, 2019 by HISD Communications. The Houston Independent School District Special Olympics Field Days planned this week (Tuesday, Nov. 13 through Nov. 15) at Butler Stadium will be rescheduled due to inclement weather. HISD officials have closely monitored the weather forecast and determined that lower temperatures may impact the district’s Special Olympics event. As a result, Special Olympics Field Days will be rescheduled at a later date. This entry was posted in News, Special Education, Special events, Volunteers and partnerships, Weather and tagged Special Olympics Field Days on November 12, 2018 by HISD Communications. HISD will host its second Parent University workshop from 5:30 to 8 p.m. on Thursday, Nov. 15 at five locations throughout the district: Pin Oak Middle School, and Milby, Washington, Wisdom and Yates high schools. 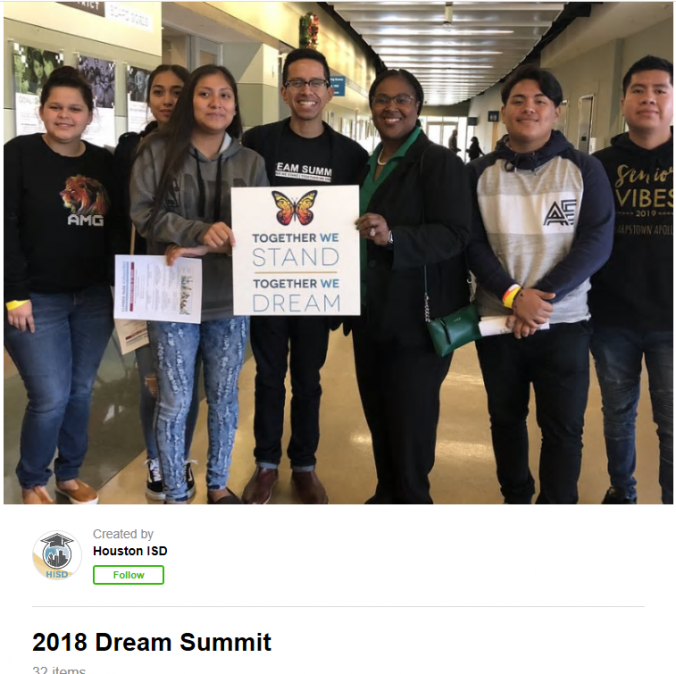 The theme for the session will be “Pathways and Programs.” The workshop will begin with a dinner and resource fair and will include information on district programs, parent engagement, community resources, and how parents can become active partners in the successful education of their children. Parents can look up locations and select the most convenient one to attend. 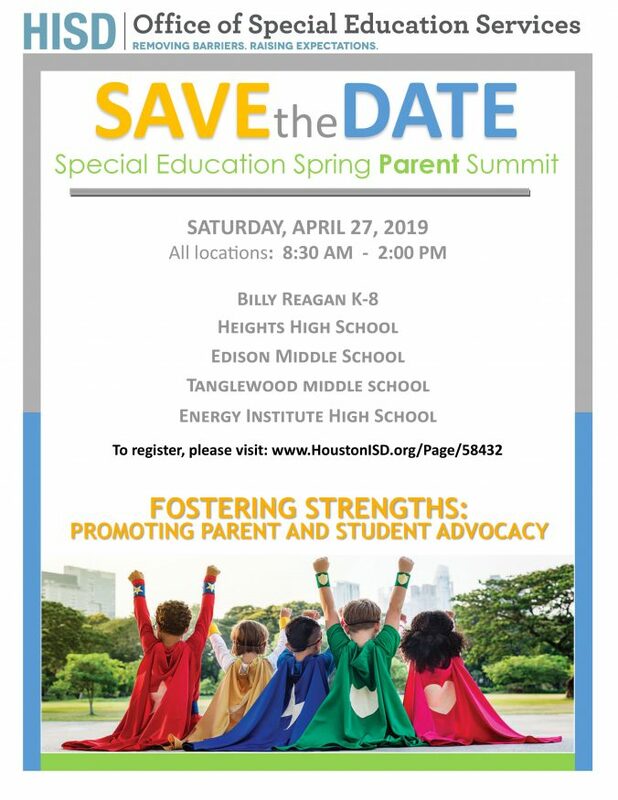 Registration is available at HoustonISD.org/ParentUniversity. Free dinner, interpretation services, and child care will be provided. 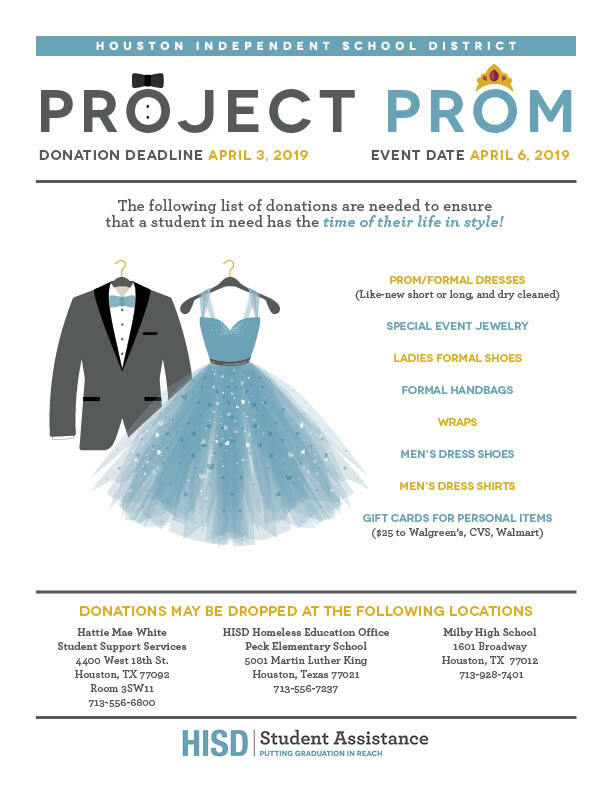 This entry was posted in News, Parents, Special events on November 2, 2018 by HISD Communications.